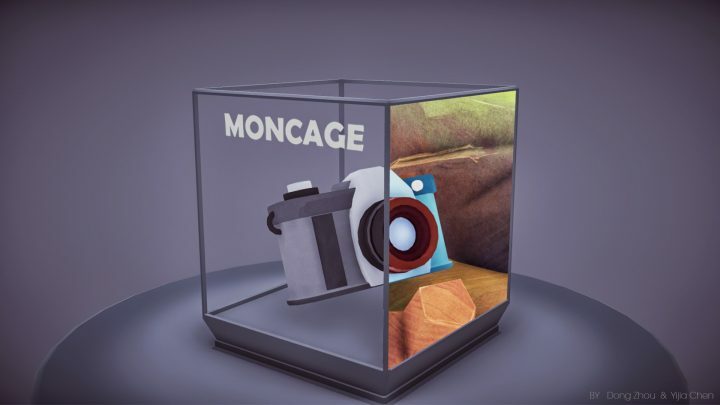 Moncage is an incredible perspective based puzzler where you attempt to align 3D scenes viewed on the side of a puzzle box so that they can interact with each other. In Moncage you explore an abandoned factory on a mysterious island via the various sides of a cubic puzzle box. Each side of the puzzle box depicts a different scene from the island but you can align certain objects within them so that they can interact with each other, transforming the scenes a little or allowing access to new areas in the process. We first featured Moncage on Alpha Beta Gamer a month ago when it was a simple, but very cleverly crafted prototype. The latest build is a vast step up, not only visually, but with regards to the puzzle design and the various interactions you can perform. Now you can zoom in and out of specific areas, activate certain objects and even find hidden photographs that hint at a narrative. The current build of Moncage takes around 15 minutes to play through and it’s a fantastic little experience that constantly surprises with the ingenuity of its puzzle design. It’s got a wonderfully chilled out atmosphere, the aesthetics are very pleasing and there’s a great attention to detail in the game world. Highly recommended.